Pardon the Punctuation...Who knew you could get the south this far south. "Yardbird" is Jeff McInnis of Top Chef fame's culinary homage to his southern roots. Located in the heart of mostly Cuban populated South Beach, this restaurant sticks out like a sore thumb in a good way. It was one of my only free nights in Miami and my dear friend @StaceyGarcia made reservations for her husband and I to check it out. She made an excellent choice. To start, our server Rosie was awesome and had great suggestions for us on what to order. The menu is designed for sharing which is great since there are so many things worth trying. Here's what we ordered for the table. Mama's Chicken Biscuits: Free-range fried chicken, pepper jelly, on a housemade biscuit. The chicken was perfectly seasoned and the pepper jelly is a nice touch. The biscuit was flakey and as southern as it gets. Llewellyn's Fine Fried Chicken: Free range chicken in a 27 hour recipe and spicy tabasco honey. I think the 27 hour recipe must consist in coating the chicken in crack because it's so damn addictive. Could have easily eaten 2 orders of the stuff. Best friend chicken in Miami! Macaroni and Cheese: Torchio pasta, 5 cheeses, and a crispy herb crust. Not the best Mac I've ever had but still pretty good. The herb crust helped enhance the flavors of the 5 cheeses. 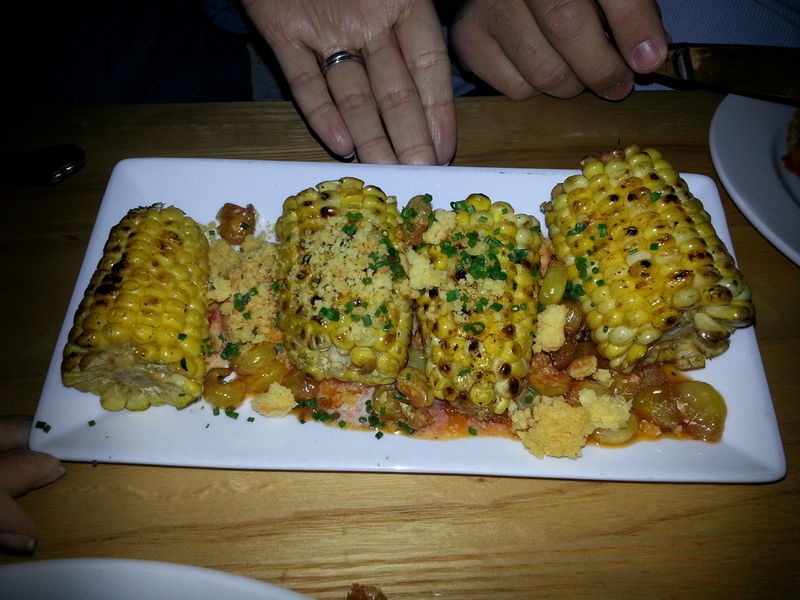 Corn: Fresh grilled Florida sweet corn, lightly fried hominy, and crispy cornbread crumbles. Corn so sweet it could be dessert and the perfect compliment to a dish like the fried chicken. 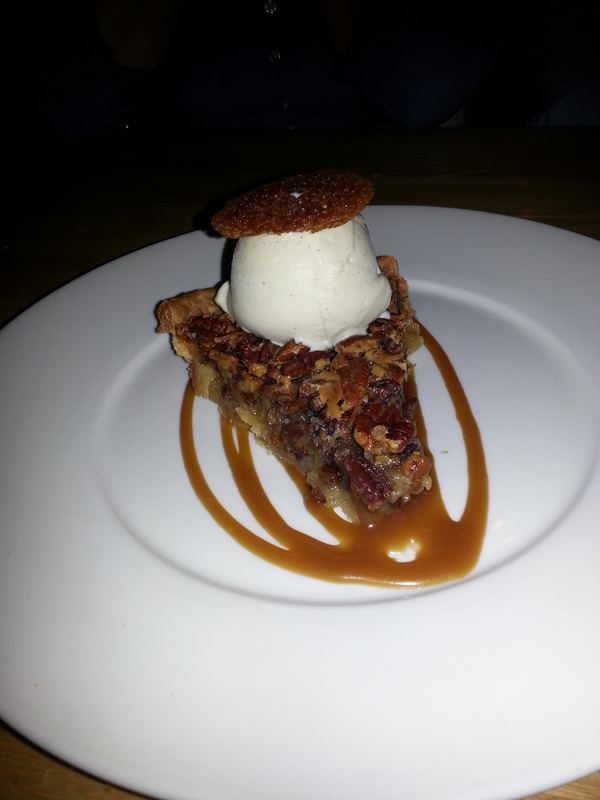 Pecan Pie with Bourbon Ice Cream: What is there to say except that this was the best pecan pie I've had south of Georgia and if my stomach could hold it, I'd have to down about 2 gallons of the bourbon ice cream. 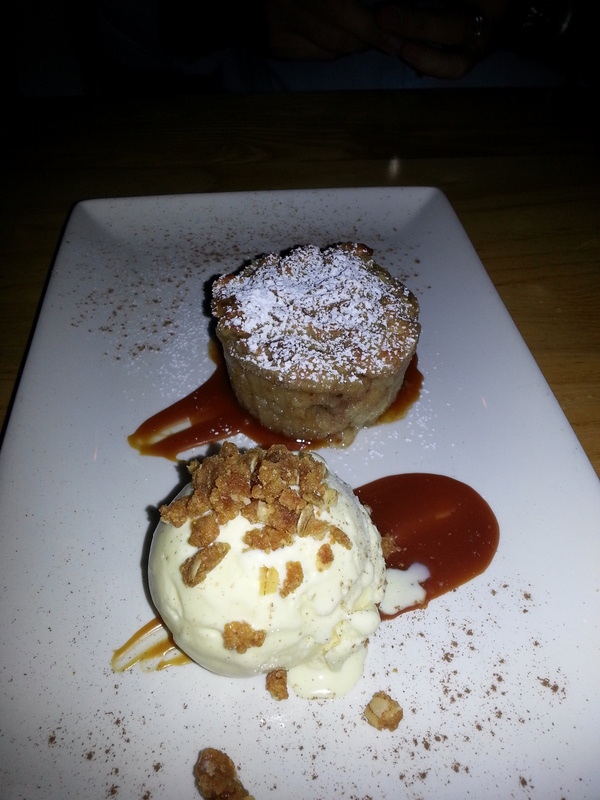 Apple Cinnamon Bread Pudding with Vanilla Ice Cream: It was a dessert special for the night that wasn't on the menu. Extremely well balanced and the ice cream was rich, creamy, and was the perfect compliment to the consistency of the bread pudding. What a great surprise to have such a fun southern dining spot right in the heart of South Beach. Kudos to chef McInnis for putting together such a rockin restaurant.